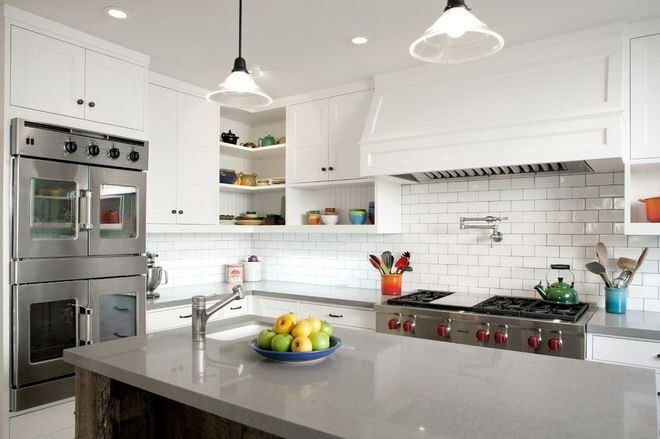 Wall ovens have changed more than any other appliance in your kitchen. 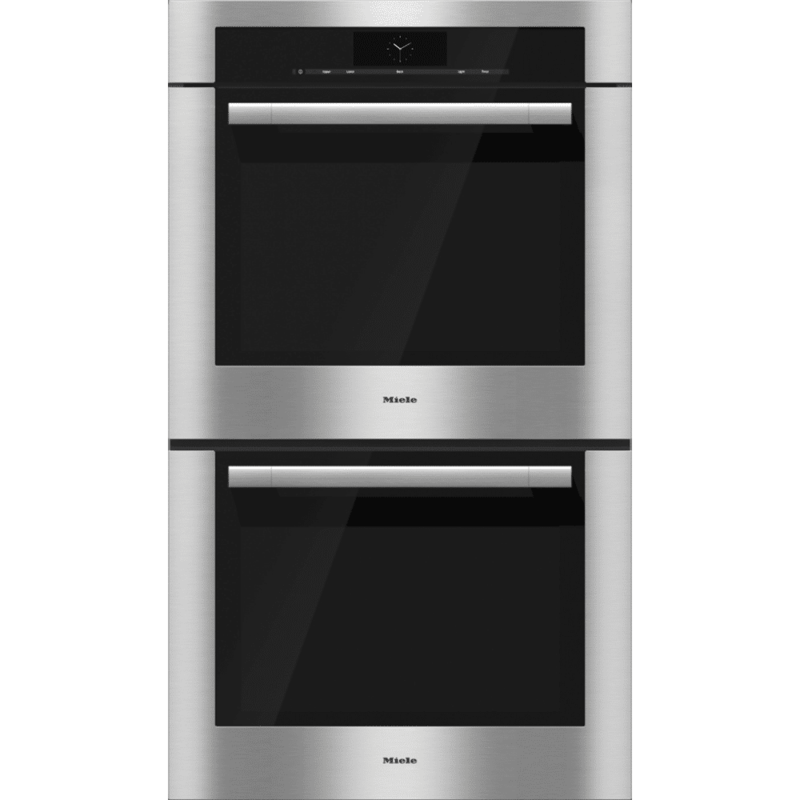 If you are considering a wall oven, then you will be inundated with new choices. There are single, twin and blower style convection options. The controls vary greatly as well. You can control some by your phone through an app, yet others will calculate time and temperature automatically. Both Miele and Viking are marketing very different wall ovens. They are also very different companies. We will look at both companies, the products and then compare at the end. Miele is the largest family owned appliance manufacturer based in Germany since 1899. Their motto “Immer Besser” or Forever Better is a design and manufacturing philosophy and vision. In an age of outsourcing, Miele builds 96% of their parts and pieces and products manufactured in their German factory. They test every single unit, so their quality control from start to finish is remarkable. 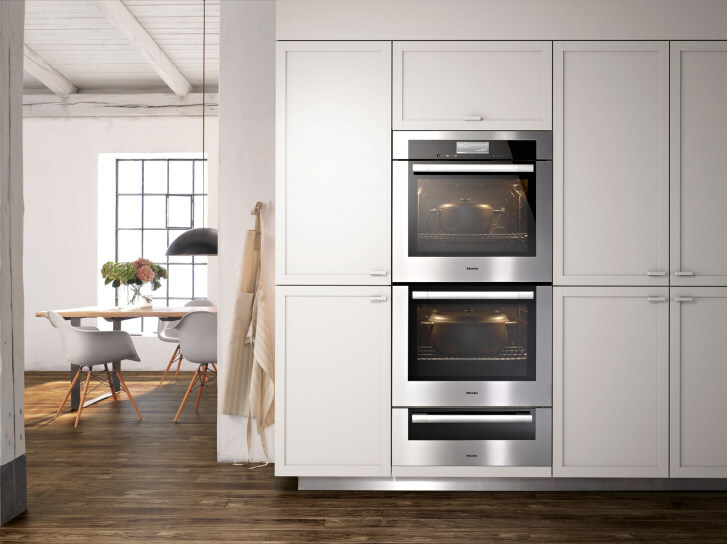 Their new (2015) M series wall oven has intuitive controls and steam as well. You actually have 16 automatic recipes just for bread. Their new M series oven has its largest oven capacity to date. In addition, they have added better lighting, a wireless temperature probe which can be placed anywhere and a crumb drip tray for easier cleaning around the door. The MasterChef is the control system to the Miele wall oven. It will guide you step by step, and also what rack to use at what position for the best results. A new feature in the MasterChef Plus is steam on any cooking mode. The unit would be plumbed directly to a waterline. The oven will also allow you to use put up to 3 bursts of steam on certain cooking modes. 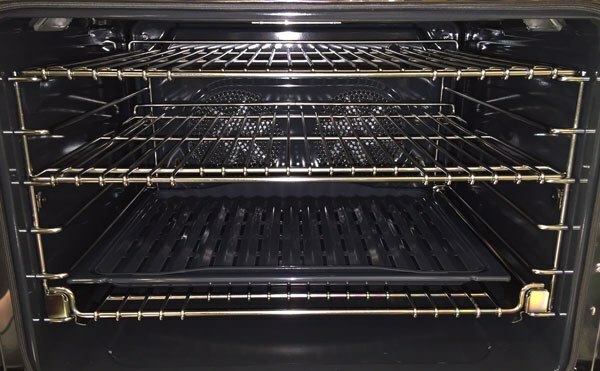 The oven racks have a coating on the racks which allow you to be able to keep them in the oven during the self-clean cycle. Most ovens do not. There is also a spot for a rotisserie motor that can be purchased as a separate accessory. In addition, the unit has two European convection fans sitting side by side horizontally. These will alternate and reverse directions for more even heat distribution, so the air will circulate from front to back and side to side. This results in superior cooking performance. Viking is an American built company family own based out of Greenwood Mississippi, founded in 1990. Over the years, Viking has had their fair share of ups and downs especially with quality control and innovation. In the 90’s they were one of the biggest “buzz” words for resale and contractor sales in high-end homes. It was always a “Sub-Zero Fridge” and “Viking Range”. They are credited with creating the professional range phenomenon. Recently in 2012, the company was taken over by Middleby Corporation of Elgin IL, listed on the NASDAQ. Middleby has 50 other businesses within their portfolio and has advanced in the category of commercial built appliances. Buying Viking would allow Middleby to introduce advanced commercial cooking technology to the residential market. To be transparent, we do not sell any Viking products at Yale. 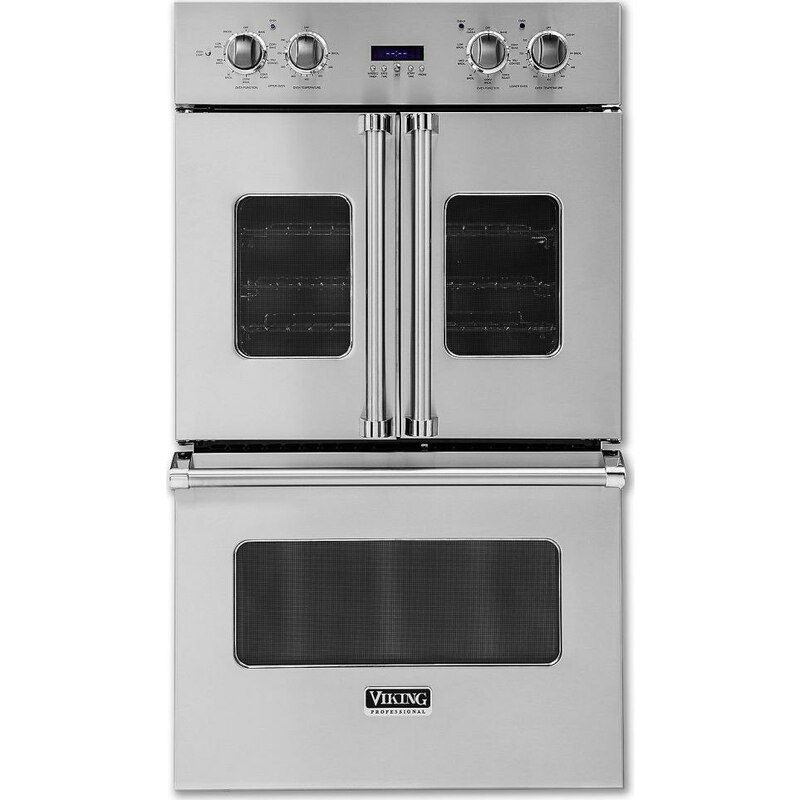 Viking has just recently introduced their new French door wall ovens. Viking has been making wall ovens for a long time traditionally with a pull down door. The idea, with the “French” style, is not only does it offer a unique aesthetic, but it’s also very functional as well. If the wall oven is in a tight area, having half the door swing can save space versus a full door. In addition, you can use one hand to open both doors at the same time. 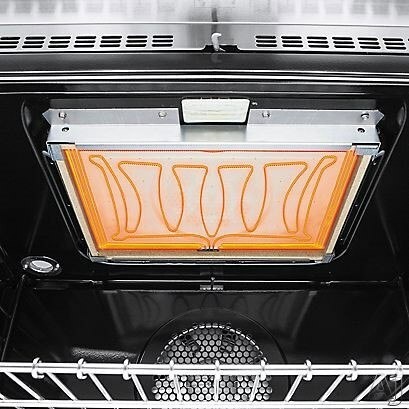 Once the doors are open, the access is great; you no longer have to lift a pan over the door you can get right into the oven cavity, which could prevent burns or spills and or help customers with back issues. The New French Door Wall oven is available in seven different designer colors. These ovens offer a large cavity with great lighting placement, and three adjustable racks one of which is a full extension glide out rack. Viking has the largest convection fan in the industry. Their European convection system will also alternate both directions to maximize air floor and also pre heat faster. The Viking broil element is ribbon element, enclosed in glass. Because of this, not only are you able to get a super high heat, great for broiling steaks, but it’s also going to have even heat distribution. I would say the broiling systems works well for an electric oven. In addition it has a hidden bake element. The Viking oven is also unique for its professional look, with a lot of stainless and physical knobs that have are backlit with blue LED lights, compared to most ovens that are all digital or electronic controls. The two styles are completely different at more modern versus traditional. The French door style is a show piece. The Miele is a bit more subtle, and you can even mount it flush to the cabinet. The French doors are likeable, because they are easier to access food. They are also shorter for easier pass through with islands. The logic works with ovens as it does with French door refrigerators. However, Miele may be a better choice, because it is so easy to use. Want to cook a roast? Simply choose the type of meat on the touch screen, the weight and doneness. The oven figures time and temperature automatically without guesswork. Steam is also a great way to finish foods especially cheese and breads. Once again, the oven figures out how much time and at what temperature. It will allow you to cook differently and better (we have a chef to show you the capabilities). Lastly, reliability seems to be at polar opposites. Miele is one of the least serviced brands in the industry, because of their hands on manufacturing. When we stopped selling Viking, the repair rate of a Viking was well over 50% in the first year. Middleby should remedy this in the long term. However, I would wait and see. Have questions on Wall Ovens? Get the Yale Wall Oven Buying Guide with features, specs, the latest on smart technology as well as detailed brand profiles. Over 150,000 people have read a Yale Guide.